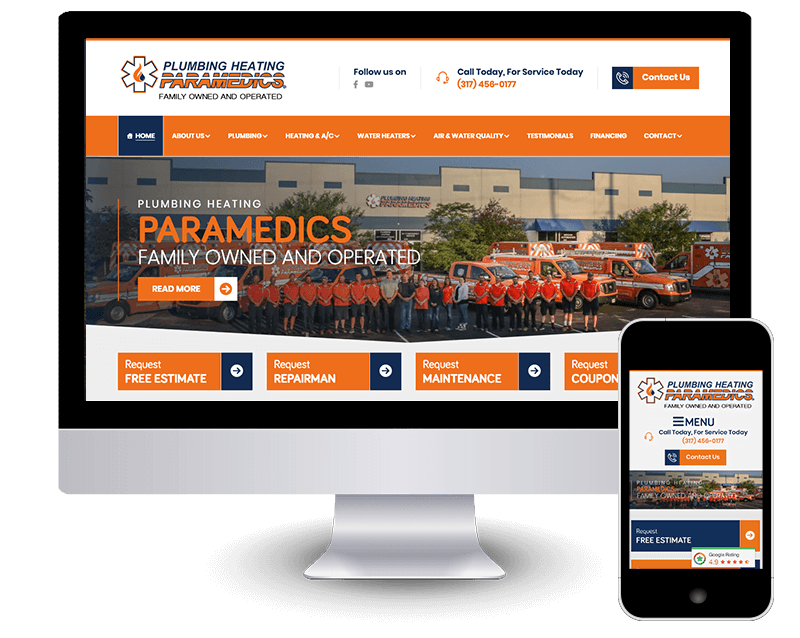 Plumbing Heating Paramedics has been a client of ours since 2013, when they came to us for their first website project. We recently just completed a site redesign for them. Plumbing Heating Paramedics are experts in their industry and they strive to be best in the Indianapolis area! PHP decided that it was important to have a responsive design for their website in order to retain as many customers as possible. Since many customers will be booking a service through their phone, it was super important to make the site mobile responsive and easy to use! A responsive design is a website that adapts to any size screen on mobile devices such as laptops, tablets, and phones. To learn more information about our mobile responsive design services click here.